If you are shopping for a new car why not consider the Toyota Corolla near Coachella, CA? This award-winning Toyota sedan outranks the competition with outstanding design, safety and technology features. As one of our best selling models, the Toyota Corolla is perfect for business and family travel. 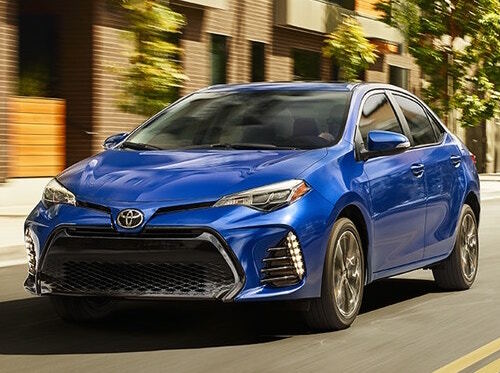 See our entire selection of Toyota cars online and compare prices, estimated MPG, vehicle photos, trim and color options for Toyota Corollas near Coachella. Beyond our inventory of new Toyota Corollas we also offer a great selection of used cars, often including pre-owned Toyota Corollas. Many of these are certified pre-owned models with low mileage and extended factory warranties. For anyone on a budget, buying a Certified Pre-Owned Toyota Corolla or other used Toyota car or truck is a great way to get a quality vehicle at an amazing price. We invite you to stop by our showroom and test drive a Toyota Corolla near Coachella, California . Our team is on standby to answer your questions and help you get behind the wheel of your next vehicle.